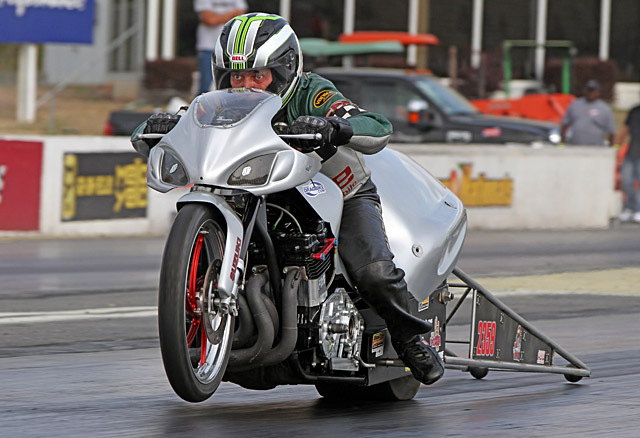 It’s the first time that NHDRO has raced at the historic, newly renovated track, and the Buckeye State has long been known as the home of more dragbikes than any state in the USA. So expect packed staging lanes of baller ET, index and streetbike racers going mano y mano for NHDRO’s big victory checks. At the top of the heap are the world’s quickest street-legal bikes of McIntosh/Grayson Machine & Fabrication Pro Street. 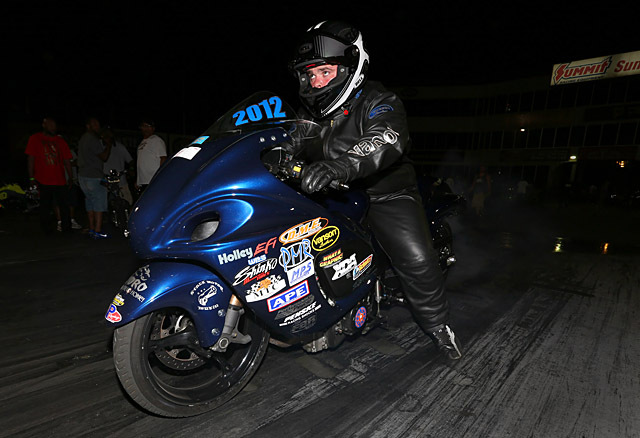 Second generation Pro Street racer Frankie Stotz has entered two Pro Street races on his little 1000cc Honda this year and won them both, including NHDRO’s 190hookup.com Season Opener. Most recently, the Chicago area racer ran his first 6.60 and moved up the G.O.A.T. list with a 6.69. 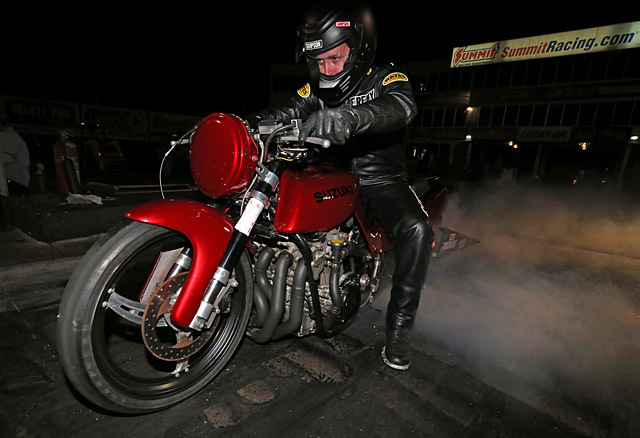 But Stotz will face a whole slew of turbocharged and nitrous-huffing, 700 horsepower streetbikes, including the whole Quicktime Motorsports stable—Rudy Sanzottera, Jake “From State Farm” Henderson, Brad Christian, Chris Klassen, and Will Santana. Add in former champ Doug Gall, Bill Deshong, Jeremy St. Julien, Gabe Frederick and more. 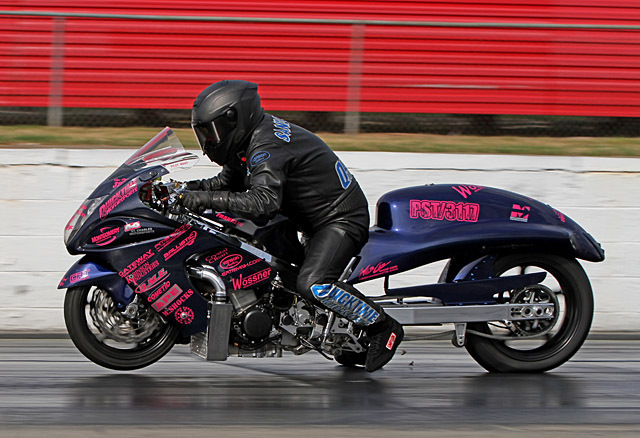 Quicktime Motorsports/Lindeman Performance Pro Ultra is the world’s quickest two-wheeled index class. Les Stimac, Jeff Lindeman, Dan McCarten and more will all try to take their big tire, wheelie-bar bikes from starting line to eighth mile in exactly 4.60 seconds. 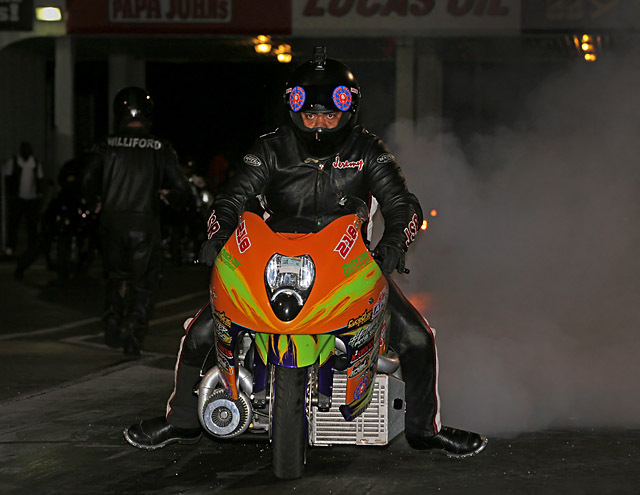 Pro Open features big-tire, wheelie bar monsters like the Kawasaki Funnybike of Ron Maddox, the crazy loud machine of Ohio’s own Charlie Theiss, the Thiel’s Wheels Pro Stock Buell, and more. 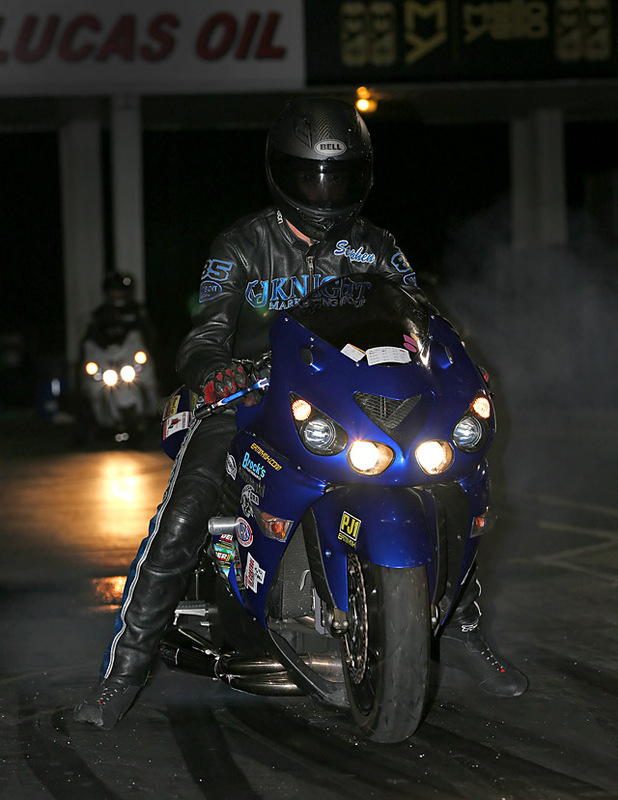 NHDRO’s Street Bike Shootout replicates the class that started the Pro Street revolution. Street tire, hand clutch, stock ECU and a weight-to-wheelbase ratio are what define this otherwise unlimited class—and a road course test that ensures these beasts remain roadworthy. 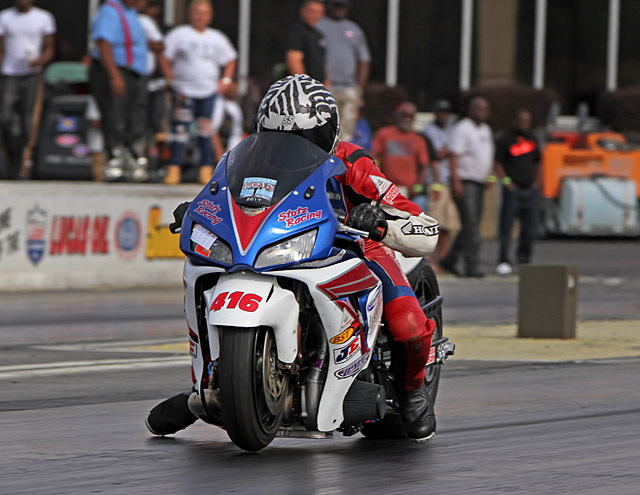 But the true trunk of the NHDRO family tree is its sportsman racers, and no sportsman was more successful at the opener than double winner Jeremy England. He won Top Gas and Penske Racing Shocks Street Fighter last time out, but will be doubly dangerous racing in his home state this weekend. England will be racing the likes of Dustin “Biscuits” Lee, Kounselor Kenny Schwartz, Vince “Family Man” Hileman, Heather and Mike Wagner, Greg Mallett, and Jeremy Teasley in these two classes and more. Millennium Trailers Super Comp features a rowdy mix of wheelie bar and no-bar bikes racing the quarter mile with an 8.90 index. Sportsman stars will be taking the tree and hitting the number. M2.Shocks Crazy 8s drops that number only 2/100ths but requires a no-bar bike to do it with. Opener winner Dustin Lee, Stephen “The Right” Knight, Travis Klotz and more will all be aiming for Crazy 8s glory. MPS Pro ET and Kevin Dennis Insurance Street ET will feature many of the racers already touted and more, including Garreth Sheppeard and Doug Fisher. NHDRO is working hard to make sure you’ll be able to watch your Cavaliers right on the starting line during Saturday night’s grudge session. The weekend kicks off Friday night at 8:00 pm sharp with a round of qualifying and the biggest little race of the weekend—the Total Racing Motorsports Grom race. Brian and Niki Welch look forward to welcoming the NHDRO family to what promises to be one of the best tracks on the circuit.